When you think of craft beer in Vancouver, you don’t often think of Old Yale Brewing. I mean, they’re all the way out in Mordor (the Wack), so their beer can’t possibly be any good, right? So let’s just grab another hop bomb from <insert hip hot new local brewery here> and call it a day. 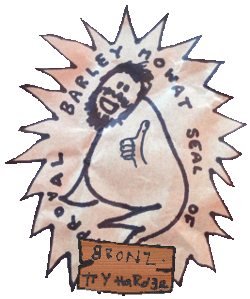 Thus, when 2014’s Canadian Beer Awards rolled around, more than a few eyebrows where raised when Old Yale’s tried and true Sasquatch Stout won the coveted “Beer of the Year” award. I’ll be honest, it took me by surprise as well. 2013’s winner was Powell Street’s delicious Old Jalopy Pale Ale. I had no problem with that. Hip new breweries beat the old guard, right? Punchy Pales > Boring Old Stouts. Or so the thinking went before everyone woke up and remembered that Sasquatch is really quite a well brewed Stout. The win looks like it might have been somewhat of a surprise for the fine folks at Old Yale themselves, as the sudden rush of sales and publicity that follows such an award seems to have jarred them into a bit of a brand modernization. With that rebrand comes a new brew, being right now broadly distributed via the BC LDB. With broad distribution comes media samples, and for the first time ever I received some Old Yale product to open, taste, and trash/praise. So, is Vanishing Monk Belgian Wit any good? Plus, at 5.59 (before taxes) at the LDB it’s not a bad option. There’s lots of great competition in the Wit Zone, but Old Yale’s is one of the better ones. APPEARANCE Pours cloudy yellow with a thin, instantly dissipating head. NOSE Faint lemon zest, good Belgian yeast esters (clove, black pepper). TASTE creamy mouthfeel, good balance between sugar and yeast complexity. A nice light summer ale. SHOULD I BUY IT? Yes, and then find a patio by a lake for full effect. A+++++. Would receive free samples again. Subscribe to comments with RSS or TrackBack to 'Old Yale Vanishing Monk'. Yup, this was pretty well done and pairs excellently with brie cheese from a local farm cheese producer nearby. I’ve had a lot of sub par Belgian Wit beers, was glad to see this one worked.